The first clef we’re going to learn about is called the G clef. 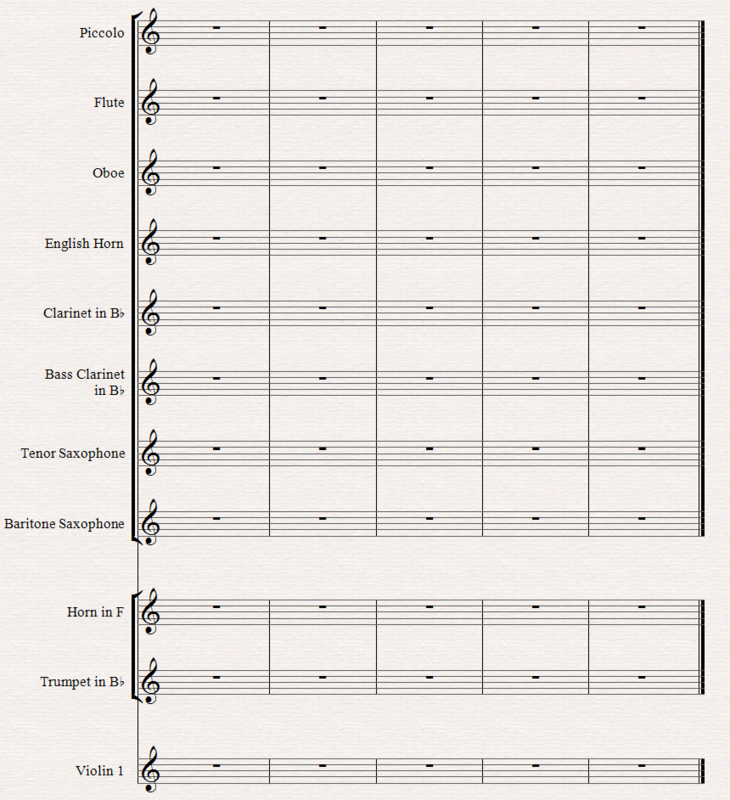 Now that we know the basics of the musical staff and music notation, it’s about time we get down to business. 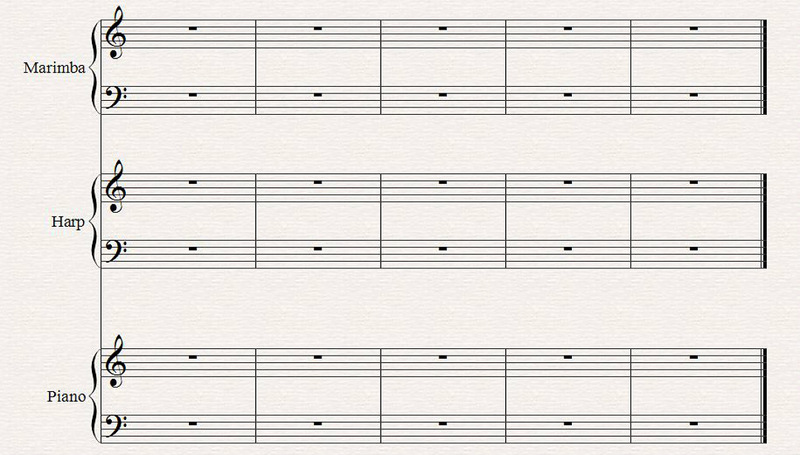 The G clef is the most commonly used clef, so that makes a good place to start our venture into the world of music notation. So why is it called “G” clef? It’s possible to place the G clef on any one of the five lines of the staff. Wherever it’s placed, the line that passes through the curl would be the note G4. However, in actual practice there’s only one position of the G clef that’s used nowadays: the treble clef. Nowadays it’s common to interchange the term G clef with treble clef, since the treble clef is the only G clef used anymore. But as we can see, the treble clef is actually a specific position of the G clef. For example, we’ve already learned one reference point – G4. 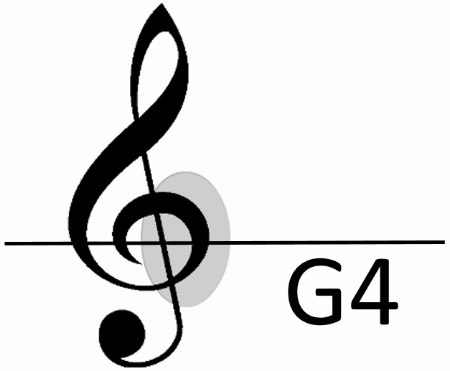 When we look at a staff with a treble clef, we can instantly find G4 by looking for the line that’s encircled by the curl of the clef. Middle C is a good reference point to use for all clefs that we learn. It’s our main reference point on the piano keyboard, so it makes sense to use it as the main reference point for reading music, too. This way, we’re always “grounded”. We have a starting point to understanding where we are in reference to the piano keyboard, and in reference to other clefs. We can think of it like a “You are here” indication on a map or directory. It’s also used a lot in vocal music. Women’s voices like soprano, mezzo-soprano, and contralto use this clef, as does music written for younger boys (and girls). In fact, the treble clef is so widely used that it has basically become the “default clef” in music. In other words, when someone is just jotting down some music, or doing harmony or theory exercises, they will usually use the treble clef. There’s actually one other position of the G clef, but it’s rare. It’s called the French violin clef, or French clef. Even though the French violin clef isn’t really used anymore, at least now we’ll be able to recognize it if we happen to come across one. 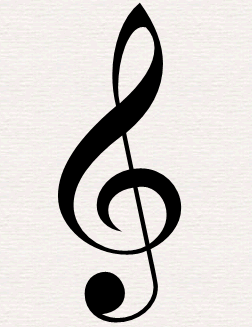 What’s the name for a G clef that is positioned so its curl encircles the 2nd-lowest line on the staff? Where is C4 (middle C) located on the treble clef? Which statement is NOT true about the treble clef? The French violin clef is a G clef positioned with its curl encircling which line of the staff?